This is my 100th post on The Economic Foodie! 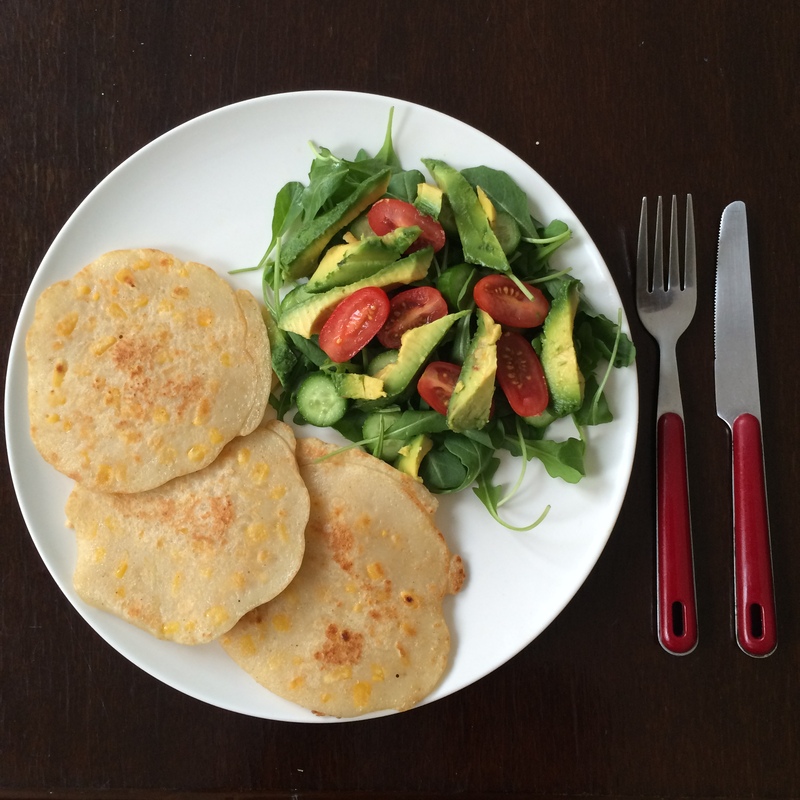 Just wanted to start off by saying thank you to everyone who follows my blog and has tried out some of my recipes! I really appreciate your support and thoroughly enjoy engaging with the food blogging community. If you have been following me for a bit, you will know from my previous posts that I cook family dinner every Sunday. This is a great chance for me to refine my cooking skills as well as learn new ones. Surprisingly, I have never really cooked stir fry until the last week! It’s not because I don’t enjoy them or think they are overly difficult, it’s just one that slipped down the to do list until now. I have now started study again and I am incredibly time poor. I still hope to keep my passionate hobby of cooking alive during this time and Sundays will be a standing reservation for me in my kitchen. However I will now be trying out recipes and experimenting with dishes that I can make in less than an hour and with the least amount of washing up as possible (since Sundays are also my dishes night at home). Alas, stir fry! I have based this on the way my mum prepares hers but with a few minor tweaks. There is loads of veg and very minimal prep involved. It is also an easy recipe to make extra serves which works perfectly for work lunch the next day! Alright, enough story telling. Time for noodles! In a wok on a high heat, heat up around 2 tablespoons of peanut oil. Once hot, cook the chicken until cooked through (~5 minutes). Remove from wok and set aside. Heat up one tablespoon of peanut oil.. Once hot, add all the veggies and cook for 2-3 minutes until they have shrunk and are almost cooked through. Add back in the chicken as well as the sauces. Mix well. Lastly stir through the noodles (I used noodles that do not require pre cooking). Mix well until sauce coats the noodles and everything is evenly mixed. Long time no see! (Apologies for that). I am most definitely still cooking away but have been mostly making the same things so figured I’d wait until I could bring something fresh to the table. Alas, my Sunday lunch! I’ve eaten Israeli Couscous numerous times and have absolutely loved it! I stumbled across it in a supermarket today and thought “Yep, there’s a lunch idea!” So, since Sydney’s weather is doing its usual four seasons in one week thing and today happened to be a cold, dreary day filled with rain, figured a warm lunch with roast vegetables would be perfect! I also thought it would be an amazing accompaniment to have a layer of hummus at the bottom to mix in with all the goodness that’s already happening! Completely optional but highly recommend! Preheat oven to 200 degrees Celcius. Place pumpkin on a lined baking tray with the olive oil and salt. Bake until soft. Cook couscous according to packet instructions. When the pumpkin and couscous have about five minutes to go, throw the cherry tomatoes onto the same baking tray with the pumpkin and mix in with the oil and salt. Once the vegetables and couscous are cooked, you are ready for assembly. 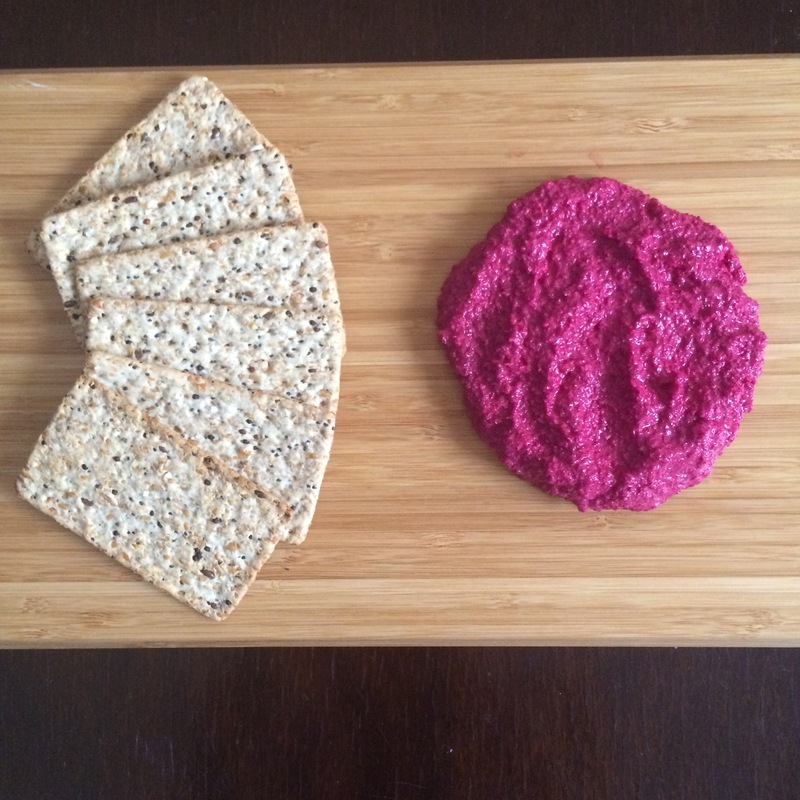 On a plate, spread the hummus in an even, thick layer. Then, in a separate bowl (or in the saucepan you used for the couscous), mix the couscous, chicken, pumpkin, tomatoes, rocket and parsley until well combined. Place bowl mixture on top of the hummus then serve with crumbled feta cheese and some additional parsley if you’re feeling it! Pearl Barley. You may or may not have heard of it but for those who haven’t, it is another grain that is good to have in your cooking repertoire. To me, the barley tasted like a combination of rice and quinoa. I was wandering around a local Asian supermarket when I saw it and thought that it would be a good idea to try it out. I have a bit of a salad obsession just because it is so simple to make and super good for you! And in this day and age, everyone is all about getting things done quickly and so I’m hoping to convey the message that healthy food can be quick and easy too so that you don’t have to reach for packed goods such as chips and biscuits. 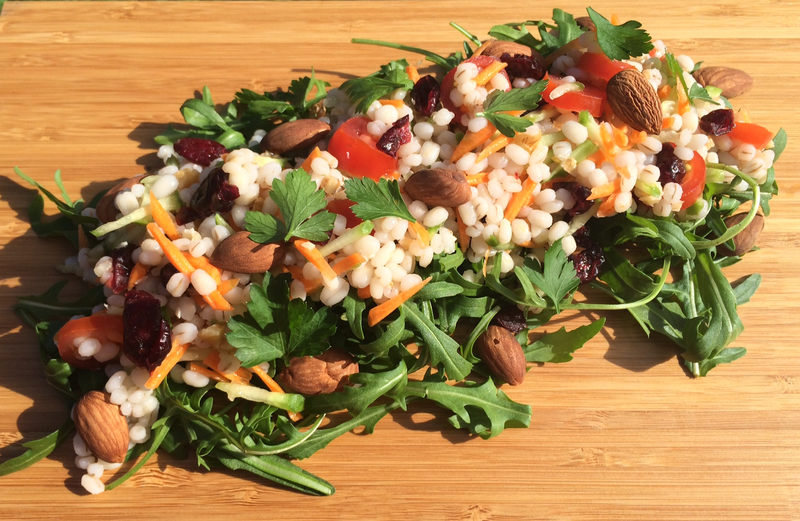 The salad I’ve created today makes the pearl barley the hero. As it was the first time I had used it, I really wanted it to be noticed in every spoon full so I was careful with the other flavours I incorporated for this exact reason. Here’s what I came up with! 3. Drain well and then mix through the carrot, cucumber, tomato and cranberries. Serve on a bed of rocket and top with almonds. Store leftovers in the fridge for up to a week! I found that this recipe did not require additional dressing or seasoning but that was my personal preference. The barley is quite moist when cooked so don’t worry about the salad being dry! So you’ve got a whole bunch of carrots left in the fridge. You’re not really feeling carrot sticks or just boring old boiled carrots. What do you do? Make a dip! As I have written about previously, hummus is my dip of choice so thought I’d a put a spin on it by using the abundance of leftover carrots that I had in the fridge instead of chickpeas. 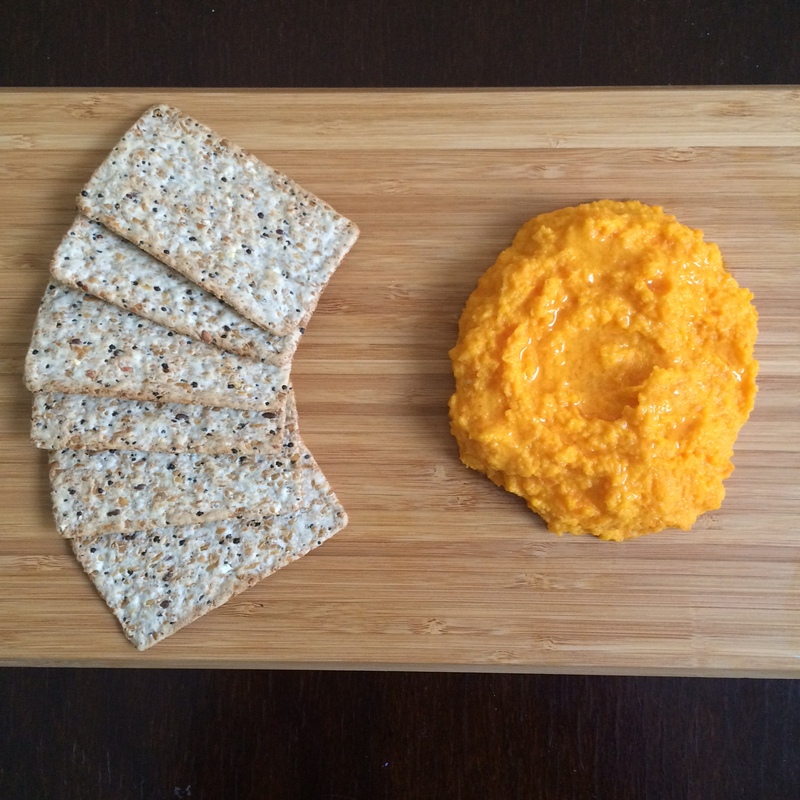 The carrots actually give the dip a subtle element of sweetness which is not overpowering in the slightest! It also provides a vibrantly coloured dip which I am obsessed with. The colour makes the dish really! This will take an extra five minutes to make in comparison to my go-to hummus but I assure you, it is worth the extra little bit of effort. 1. Boil water in a medium saucepan. Once boiled, cook your carrots until you can easily stick a fork through them. 2. Drain your carrots but retain about 1/2 a cup of the water. So I absolutely love seafood! Unfortunately seafood can be a bit expensive at times and also inconvenient as I only like buying seafood from specific places. However, tinned tuna is my saviour and it’s always an item on hand at home. I wanted to add some protein to this salad and as I was in a bit of a hurry, tuna was the easiest choice. For this recipe, I have loaded the salad with greens so that it is super healthy! Also the best thing about it too is that I did not use any oils. I made a dressing out of the smashed avocado which i lightly seasoned and then I mixed that through the salad to give it moisture. It works as a creamy dressing so was a perfect accompaniment for the zucchini. I like making salads because it forces you to be creative with ingredients you have readily available. It is incredibly easy to whip together and so there’s no excuse to reach for fried or “fast foods”. This will actually save you a bit of coin too. 2. 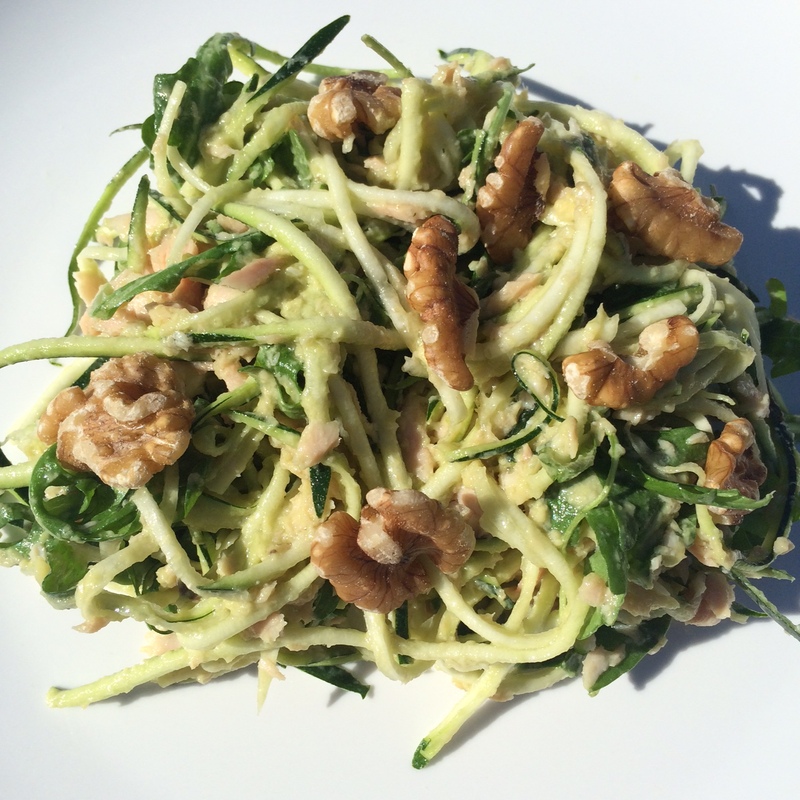 Place the tuna, zucchini, rocket and spinach in a bowl and combine with tongs. 1. If you have bought a fresh beetroot, you will need to bake it first. All you have to do is cook the beet how it is (do not peel the skin) by wrapping in some foil and baking for about 45 minutes. When you can easily put a skewer through the centre, it is ready to take out. When it’s ready, remove the skin using a knive and cut the beet into small chunks. Then, put them in the freezer for about 2 minutes so they’re cool enough to work with. 3. Serve with crackers or other vegetables such as carrots and cucumbers! Will store in the fridge for up to a week! So it’s Friday, the day before the weekly grocery shop which means that the creativity comes out in order to make something healthy and filling for lunch today! I was having corn cravings today, so I kept the fritters super simple. I had also conveniently run out of eggs so these ones are dairy free and vegan! 5. Heat up a non stick fry pan on a medium heat. 6. Use a ladle to scoop the batter onto the pan (I got 3 fritters using these measurements). Cook for 2 minutes on each side or until desired golden colour.